At UTV Cab Enclosures, we know what you need. We have years of experience in the UTV accessory business and enclosures with all the major brands. UTV Cab Enclosures is the premier parts source for all your ATV, UTV and Side-by-Side Cab Enclosures, Doors and Rear Windows, Soft and Hard Windshields, Tops and accessories, including Rear View Mirrors and Heaters. You may enjoy using your ATV for work or for extreme sporting, but by now you've discovered that as sturdy and reliable as your ATV is, it isn't up to truly heavy-duty trailblazing in the wild. Professionals use a Utility Terrain Vehicle, or UTV, for the jobs where an ATV just doesn't cut it, and where the wilderness isn’t kind to a lesser machine. 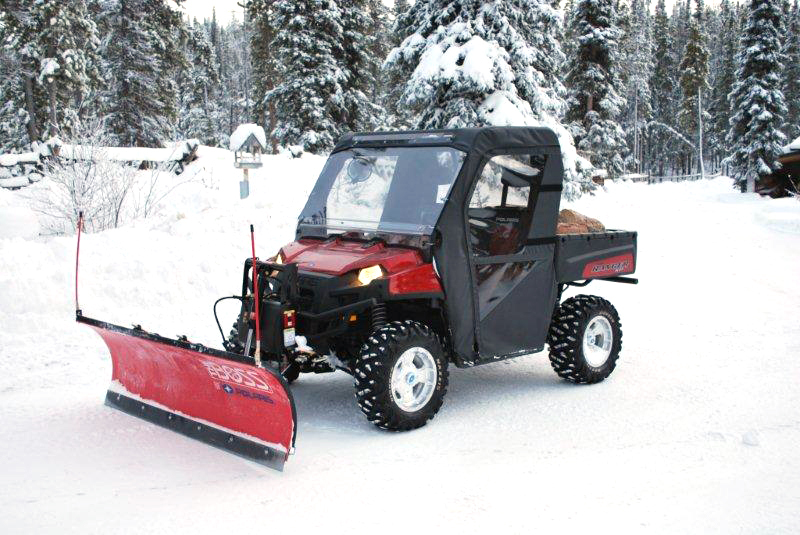 You might use your UTV for snow and debris removal or hauling heavy loads. Yes, trucks and other traditional cargo vehicles can handle these tasks as well -- but only a UTV can get off-road and into the areas where your typical truck would be stuck and in need of a tow. For those interested in extreme off-roading, the UTV superior to its cousin. It’s equipped to help you haul your camping gear with room to spare for a case of beer and a portable grill. Plus, your UTV can be customized to fit your specific needs, unlike an ATV, which offers far less customizability. If you’re looking to get the most out of your UTV for camping, off-roading, or extreme sports, UTVenclosures.com is where you’ll find your fix. High-quality UTVs typically use a wide variety of accessories to outfit them for particular jobs and extreme adventures; they don't come ready for every challenge you'll use them for, after all! Whether you need heavy treads for trekking up a mountain or chains to handle arctic conditions, though, you can be sure that your UTV supplier has the accessory you need. Some users even use it for travel and navigation while hunting; after all, you need somewhere to put that moose you bagged! One accessory that some UTV users overlook is the cab. Some people rely on a cheap homemade cab to protect them from the elements and the debris kicked up by their off-road adventures, but that is unnecessary -- and even dangerous -- when you have access to custom discount cabs from suppliers like UTVcabenclosures.com. Sure, you can get a used cab on eBay or some other second-hand website, but you can't be certain what kind of damage was done to the cab by its last owners. Professional aftermarket vendors are who you want to go to for that assurance of lasting quality. A good cab enclosure, say from UTVcabenclosures.com's catalog, comes with all the requisite universal and specialized parts to secure your cab to your UTV. You can also get side-mirrors, doors, hard windshields to protect against the elements (like the Kawasaki Teryx), tough tops, and heaters or coolers for temperature control. You don't want to freeze -- or bake! -- in your cab enclosure when you’re out off-roading with friends, after all. You can often find a great deal on cab enclosures and UTV cab accessories using a coupon, too. Whatever you do, make sure your cab was made in the USA; that's the best assurance of quality you can get. Just some of the American brands you can find include John Deere, Yamaha Rhino, Bob Cat, Polaris Ranger (not to be confused with the RZR), the Honda Big Red, Club Car, the Arctic Cat Prowler, the Can-Am Commander, and the Kawasaki Mule. UTVcabenclosures.com also offers the Kubota RTV 500, the Kubota RTV 900, and of course, the Kubota RTV 1140. If you're looking to improve the performance of your 4x4 or UTV using aftermarket services, UTVcabenclosures.com is one of the only aftermarket vendors of UTVs like the Massimo. Much like with the automotive industry, aftermarket services can make the difference between a generic UTV and a high-quality machine that can tackle any exciting endeavor you're facing. Regardless of how you're planning to use your UTV -- whether it's for clearing your property, hauling your latest kill, or as a powerhouse to guide your adventure into the great unknown -- you can be certain that the versatile power of your UTV will last for some time to come. There isn't much that can't be solved with a little ingenuity and the automotive power of a UTV, especially one that is customized just right. At UTVcabenclosures.com, we've got everything you need to outfit your UTV for all the challenges you're likely to face off the road and among the elements. 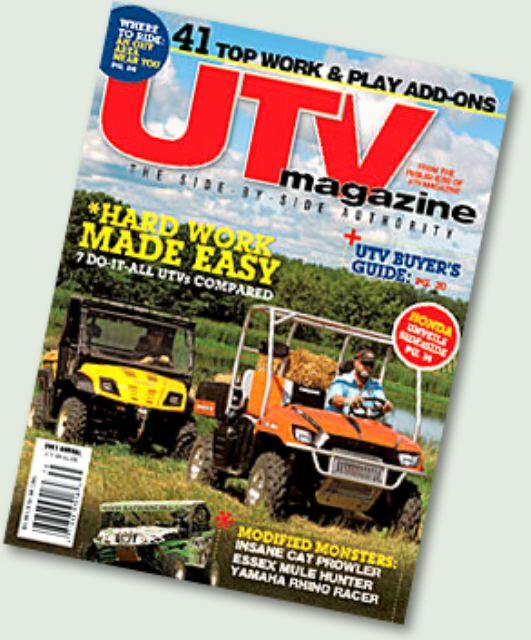 No two UTVs are alike, and no two customers use their UTVs in the same way. Hunters, trail riders, farmers and landscapers all use UTVs, but for dramatically different purposes. John Deeres, Rhinos, or Polaris Rangers – these are the names that make the working world go round. Our Customer Service makes our web store go round. We promise to make your experience here at UTVcabEnclosures.com the best ever. Have a question or problem? Then call our customer service representative daily form 9:00 am to 11:00 pm (est) at our convenient listed at the top of every page for the answer and service you need. We support these brands with a wide range of accessories. No matter what you need and what brand of UTV you own, we can provide you with the highest quality of accessories that get the job done. We know that you work hard. That’s why our focus is customer satisfaction above all else. Our money-back guarantee, top-notch customer support, and knowledgeable professionals deliver one of the best UTV accessory experiences on the web. We pride ourselves on our service, and our customers can attest to that. Welcome to UTV CAB Enclosures. Featured Products are Made in the U.S.A. Contact us at support@UTVcabEnclosures.com with your questions or comments. There’s no question that UTV owners have a bevy of choices when it comes to UTV accessories. Whether you’re looking for an inexpensive enhancement of your current ride or are attempting to extend your UTV’s use into tougher seasons, you’ll find plenty of accessories that promise to get the job done. The trick, of course, is figuring out which ones are right for you. With that in mind, UTV Cab Enclosures has come up with this very quick guide for finding the right accessories.